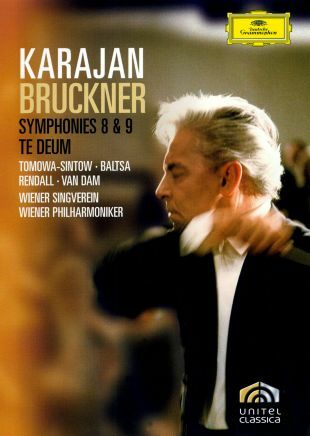 This classical performance release finds maestro Herbert von Karajan leading the Vienna Philharmonic in interpretations of Anton Bruckner's Symphony No. 8, Symphony No. 9 and Te Deum.